You will need one or more avacados, tomato, sweet onion, salt, fresh cilantro, and fresh lime juice. So first, slice the avacado in half, remove the pit, and scoop all of the yumminess out into a bowl. Sprinkle generously with salt and mush with a fork. Dice up plenty of onion and tomato to add to the avacado. Since the onion is sweet, you really can’t get too much. Now, snip plenty of cilantro into the mixture, squeeze on juice from a wedge of lime and stir it all up. 1. 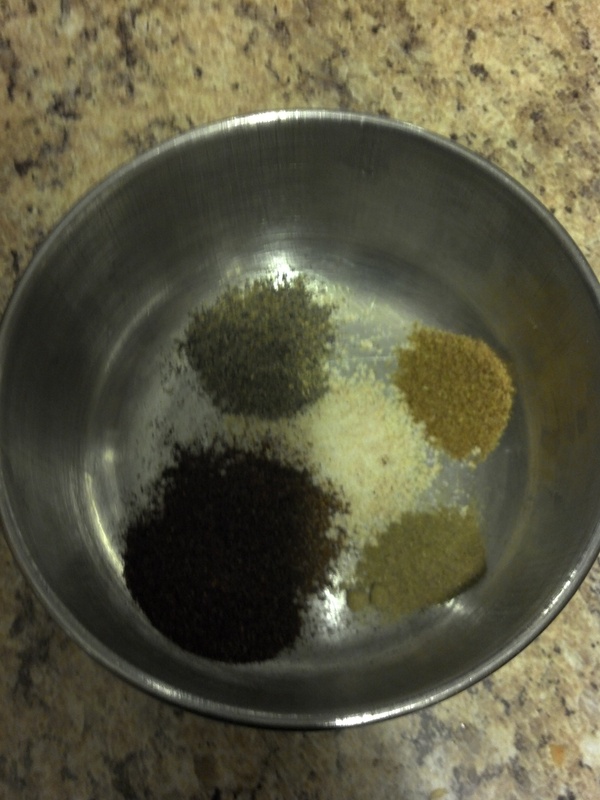 Combine spice rub ingredients in small bowl; press evenly onto both sides of each beef steak. Spray large nonstick skillet with cooking spray; heat over medium heat until hot. 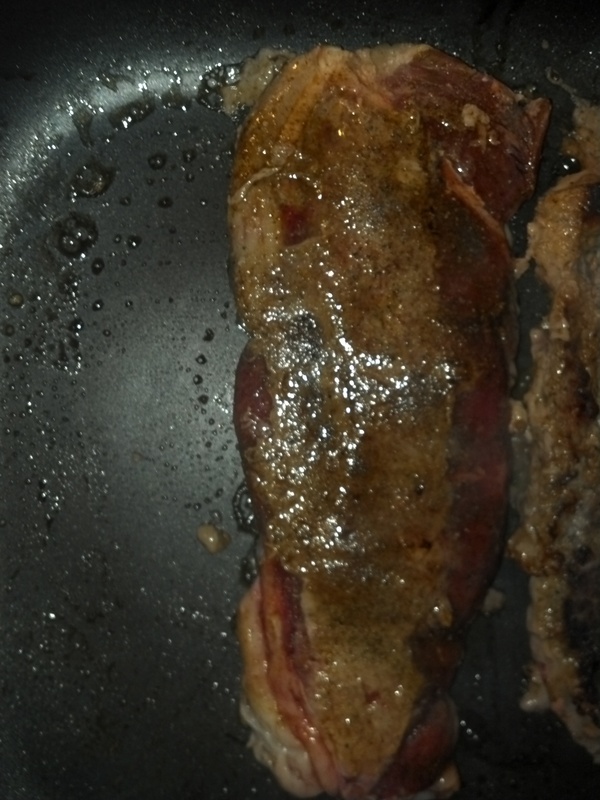 Place steaks in skillet; cook 10 to 13 minutes for medium-rare to medium doneness, turning once. Remove steaks; keep warm. 2. Add broth, vinegar, and jelly to skillet; increase heat to medium-high. Cook and stir until browned bits attached to skillet are dissolved and sauce thickens slightly. 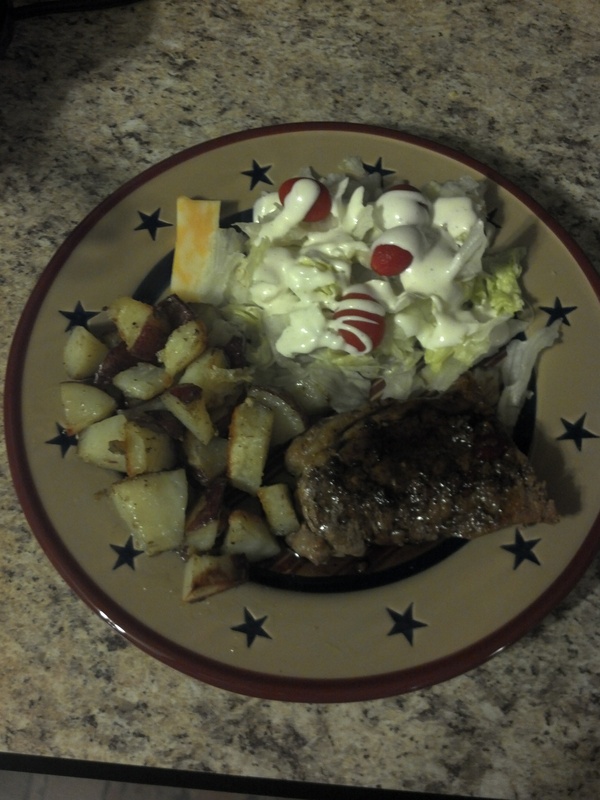 Serve sauce with steaks. And in just a few short minutes, our meal was ready! Heat oven to 400. Arrange pork chops in a 9×13 glass pan. Cover the pork with the two cans of soup mixed together. In a separate bowl, mix the dry stuffing with 3 cups hot water. Cover chops and soup with the stuffing. Cover pan with foil and bake for 20 minutes. Remove foil and bake for another 20 minutes or until pork chops are cooked completely through. This recipe is super easy and there are never any leftovers! Sorry it’s been awhile…we really have been eating! I have just failed to post recipes for all of the yummy stuff we’ve had. 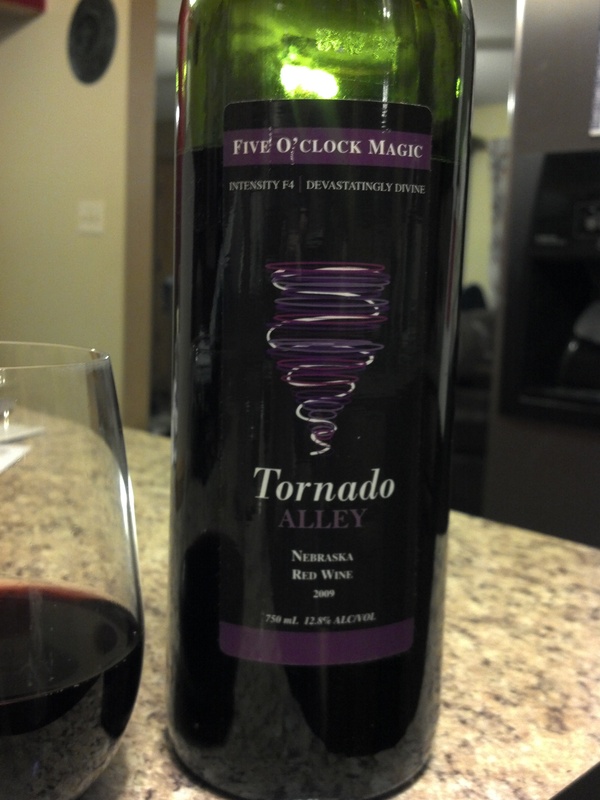 So, I am adding one recipe tonight that is a HUGE hit with my neices and there are never left-overs at family gatherings. Wash the grapes and remove all stems. In a large bowl, mix the brown sugar and sour cream. Fold in the Cool Whip. Add the grapes and almonds and mix gently. Refrigerate until serving. I always start with boiling the potatoes so they are ready when the meat gets done. While the potatoes are cooking, heat a very small amount of vegetable oil in a skillet to brown the meat. Turn the meat pieces several times while cooking to brown all sides and be sure meat is cooked completely through. Once meat is cooked thoroughly (but not over-cooked, as you want it to be tender) mix up the gravy packet (our family of four uses 2….I know I could make real gravy, but the packets are super easy, delicious, and very low fat) and pour the gravy in with the meat to thicken. To serve, start with a nice pile of mashed potatoes. Drench with meat and gravy. Add grated cheese, a dollup of sour cream, and top with a cherry tomato. Cut apples and Snicker bars into bite-sized pieces. Stir pudding mix into the Cool Whip. Fold the apples and Snickers into the Cool Whip mixture. Refrigerate until ready to serve.